(RxWiki News) These days, you’d be hard-pressed to find a grocery store without a gluten-free section. But what does it all mean? While the gluten-free diet may be the latest food trend, going gluten-free isn’t a lifestyle choice for some. According to the Celiac Disease Foundation, about 1 in 100 US adults has celiac disease (an autoimmune disorder that can cause damage to the small intestine when gluten is ingested). And many more have gluten sensitivity. If you or someone you love is thinking about going gluten-free, talk to your doctor and check out the steps below to make the going a little easier. While you likely know that bread and pasta contain gluten, you may not be aware of some of the other sneaky sources of gluten, such as pickles and soy sauce. Doing your research could mean the difference between a good meal and a painful mistake, so look it up before digging in and search for substitutes for any dishes you plan to prepare beforehand. Furthermore, even some medications contain sources of gluten. This is because medications contain many ingredients. Some of these ingredients help control how slowly the tablet will dissolve, enabling the drug to work for the entire day. Some gluten sources in medications simply determine the color of the tablet. One common gluten-containing ingredient in medications is starch. The most common type of starch in medications comes from corn. However, potato, tapioca, and wheat-derived starches are also used. In the National Library of Medicine database, 8,379 individual products or dosage forms contained the word “starch." Ask your local pharmacist about all the medications you are taking. This includes prescription medications, over-the-counter medications, vitamins and herbal supplements. Plus, gluten is even found in some lip balms and lip glosses, which can be accidentally ingested. Diagnosed with celiac disease? The only real treatment is completely staying away from gluten. If a product claims it is free of gluten, it's most likely safe. This is because the US Food and Drug Administration (FDA) only allows packaged foods with less than 20 parts per million of gluten to be labeled “gluten-free.” However, it is still important to check the food labels for multiple reasons. First, even foods that are gluten-free could be in direct contact with foods that contain gluten. 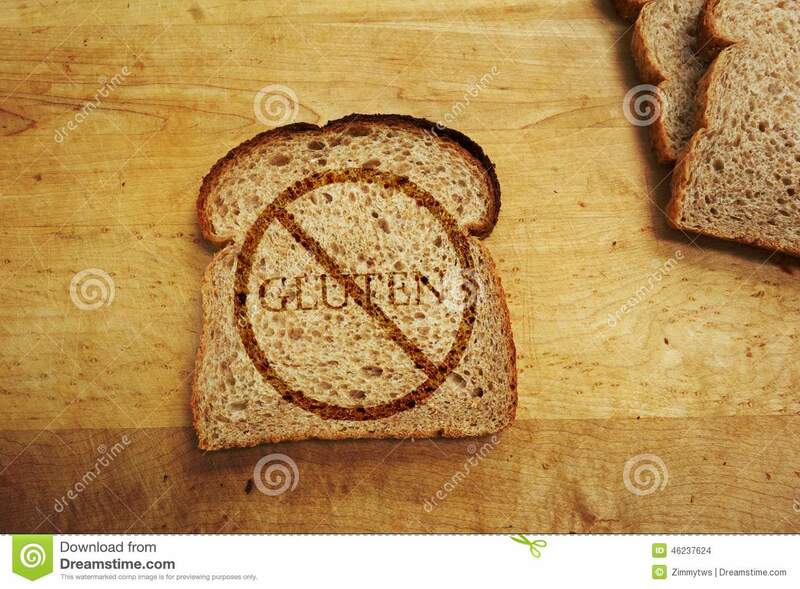 It is important to note that the actual term “gluten” is rarely seen as an ingredient on product labels. Make sure to look out for ingredients like wheat, barley, rye, and oats (WBRO) or their derivatives. Second, product manufacturers can change their ingredients at any time. Just because your favorite dipping sauce was gluten-free three months ago does not mean it is free of gluten now. Always check the label — even if you have purchased the product before. If you’re having trouble finding reliable gluten-free options, stick with what you know. Fresh fruits, vegetables, meats, and other naturally gluten-free foods are safe and healthy choices. By staying away from packaged foods altogether, you'll have a smaller risk of ingesting gluten by accident. And your body will thank you for all the extra nutrients. Nowadays, many restaurants are catching on to the health concerns of their customers and offering separate gluten-free menus. Let your waiter know you have celiac disease or a gluten sensitivity. Also, ask the server to notify the chef. Even dishes that are traditionally gluten-free may contain gluten because they are prepared differently from restaurant to restaurant. For example, an egg omelet may contain pancake batter. Do not assume something is gluten-free, and do not be afraid to ask questions. If you don’t see any gluten-free options on the menu, ask which items can be made gluten-free. Most chefs are happy to provide a safe, gluten-free meal when asked. Calling the restaurant ahead of time to discuss menu options may be helpful. Ask your local pharmacist or doctor any questions you have about celiac disease and going gluten-free. Your Medications Are Expired. Now What?